I have been having this specific dream for over seven good years now, I ain't joking. One dream, different settings, but same me doing one specific thing for over seven years. It's not everyday I have that dream anyway, but at least, every month, I have it about twice. Why one specific dream, why one specific phenomenon? Interestingly, or let me say statistically, over 50% of my dreams come to pass. Before the percentage was close to 90%, I don't know what happened for this huge drop. are quite fascinating and I would like to share them. 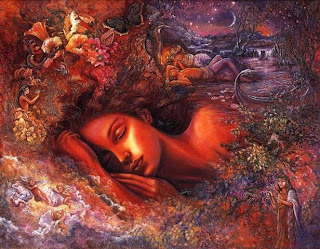 Sigmund Freud’s theory of dreams suggested that dreams are a representation of unconscious desires, thoughts and motivations. I read some portions of his book "The Interpretation of Dreams" and out of that, developed my own understanding of dreams. According to Freud, there is a hidden psychological meaning to every dream and suggests how one can interpret them. A typical example of this is when a lady whose greatest fear is snakes, dreams of snakes anytime any other thing like losing a boyfriend scares her. So the brain processes the snake as fear and constructs a scene with it. Another fascinating dream theory suggests that the mind processes important things we ignored during the day, and suggests to us in our dream that those things need our attention. For example, you dream of a man you passed by at the bank, who asked you some question you ignored, because you were too disappointed you couldn't make a withdrawal. Your mind quickly brings that up because most of the time, the question relates to a past or future phenomenon. Other dream theories suggest that dreams happen as a means of cleaning the mind of numerous activities to prepare the mind for the next day, but I don't really agree with this theory. Because why will we see what the brain is deleting in a well constructed and organised form, so real we sometimes wake being thankful or regretting for being awake. Then for some Christians like myself, we sometimes believe God speaks to us through our dreams. I am fortunate to be remembering my dreams 8/10 times. You may be getting 0/10 when it comes to remembering dreams, but I can make a suggestion which can help if you are interested in remembering your dream. Get a small note pad and a pencil/pen and place it near your bed. When you wake from a dream, grab them and either sketch or write down what you dreamt about before going back to sleep. I have my own way of interpreting my dreams, and it works most of the times. Try discovering yours and believe me, when it's time to sleep, you will embrace sleep like a new wife/husband because you know one thing will be assured at night: "fun!". 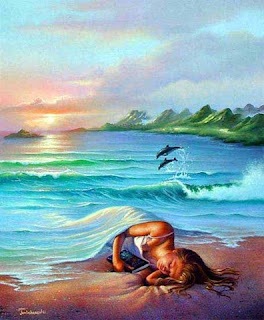 Share your opinions about dreams or theories you also know about dreams by leaving a comment. Don't hesitate to let me know of that mysterious dream you want to interpret :). Thanks for reading. I haven't taken dreams seriously for a long time. I have no urge to explain or remember them. I realise my recent dreams have something to do with what I had been doing that day. I used to be really obsessed with dream interpretation, but I let it go. You're right about the keeping a pad/pencil by the bed and writing down your dream as soon as you wake up. Dreams happen so random for me. Sometimes it has to do with something I did that day. Sometimes they go a little deeper like flying of falling. Those kind of dreams, I'd like to see what's going on in my life to see why exactly I'm dreaming those concepts. Your comment is the oil which fuels my writing engine. A Look At Japan's "Abenomics"
Terry B. Abban. Simple theme. Powered by Blogger.